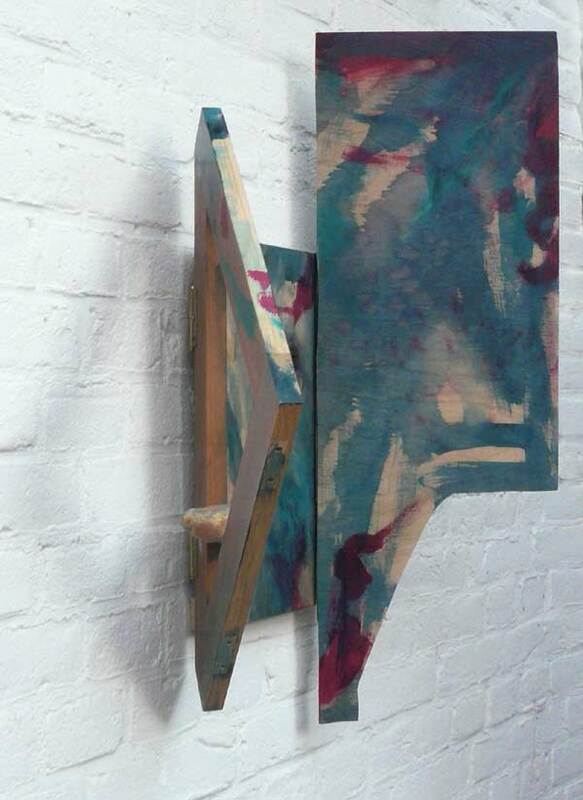 acrylic on wood, plywood and hinges. 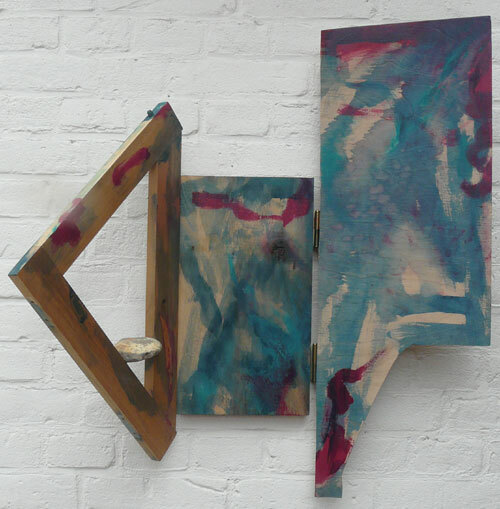 Each triptych in this series references and rebels against the abstract. Abstract expressionism although the result of a highly individualistic process - the lone artist struggling with the canvas - was championed as a higher truth or universal based on the idea of a common psychology. However the canvases were of a certain size (large) and usually flat and rectangular. I took off cuts of wood and attached them to hinges to free them from the wall and so that each composition can be continuously adjusted. Each portrait also has two or more points it can be hung from. I have entitled each as a portrait to emphasize the subjectivity and particularity as opposed to utopian universality. For this reason, I used wood with a history. There is no blank canvas.